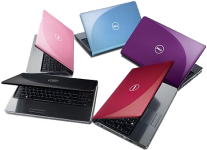 Dell is a leading name in laptops, but like all makes and models, memory will deplete over time causing your system to run slow and the performance to drop. This can be problematic particularly if you rely on your computer for more than shopping and browsing the web. We have the know-how to source the right Dell laptop memory upgrades for your computer to have you up and running efficiently in no time at all. Poor memory performance is a common laptop problem but it is one that is relatively easy to resolve and can be fixed in just a short time providing that you choose the correct memory for your requirements.